No time to cook? Bad cook? Good news, Artiko Chef will do it for you! 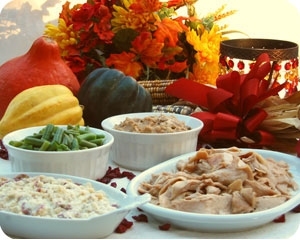 Fool your guests into thinking you’re a culinary genius with their pre-made delicious Hickory Smoked Turkey. 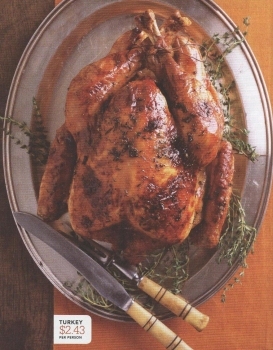 The unsliced turkey breast serves approximately 10 people, weighs 5-7lbs and is only $59.99. Artiko Chef even includes a special gift of 2 gold or silver ball candles to set the mood, and this same dinner can be arranged for four, so go ahead and share the holiday with your favorite couple. Not a turkey fan, then go for their seafood, vegetarian or beef selections.